When you hear someone ask if there’s a specific ingredient in a recipe, you might assume that the person is inquiring because they’re trying to stick to a special diet. We never really think about the idea that this person might be asking to avoid a severe, and in some cases fatal, allergic reaction. The truth is that food allergies are more common than one would think. According to Food Allergy Research & Education, up to 15 million Americans have food allergies, with the leading allergies being peanuts, milk, and shellfish. If you have a food allergy, you’re accustomed to reading the fine print on labels, especially those that read “ WARNING: this product may have been manufactured on shared equipment, and may contain trace amount of peanuts, eggs, and milk”. It’s safe to say that people with allergies have to stay vigilant and proactive, but they can’t control 100% of life’s situations. Sometimes we slip up, and that’s where the EpiPen comes in. The EpiPen is an auto-injector system that was designed for people who have a history with of life-threatening allergic reactions (anaphylaxis). The EpiPen works by releasing epinephrine, also known as adrenaline. The rush of adrenaline relaxes the muscles in the lungs to reduce wheezing and improve breathing, stimulates the heart, and works to reduce hives and swelling that may occur around the face during a severe reaction. The EpiPen has helped many people manage severe allergies, but recently it has been difficult for people to utilize the medicine. In 2009, the price of a 2-pack EpiPen was about $100, today the price is near $600 for the same 2-pack prescription. The sharp increase in the price of an EpiPen prescription has caused public outcry, and demands for explanations from senators. Access to care: The US healthcare system is known to be expensive, especially for name-brand drugs. This price increase complicates lower income and uninsured patients having access to medicine. For uninsured patients that pay out-of-pocket, the drug was more affordable when it was at a lower price. Now, it is almost impossible to afford the pricey medication, especially if people need to constantly change EpiPens (due to the short shelf life of epinephrine). Due to recent attention, the company that produces the EpiPen, Mylan, has since announced plans to offer a generic version at half price. Although the generic will be cheaper than the EpiPen, the cost will be approximately $300, which could continue to prevent accessibility to uninsured patients or those with high insurance co-pays. Additionally, the cost of a generic version of the EpiPen still exceeds the cost of the brand version before the jump in price. Policy: There are several policy related implications in this story. The first has to do with the involvement of the Food and Drug Administration (FDA). A significant part of the reason why Mylan was able to increase the prices so drastically is because the FDA has been slow to approve generic versions of the drug. Because the FDA requires vigourous testing for potentially life saving medicine, many generic versions have not been approved. This has led to Mylan being the only company in the market.Now that Mylan is now making a generic version of the drug themselves, they still stand to make quite the profit and will essentially still operate within a monopoly. Another policy implication is the involvement of several US Senators. Senators have been under increasing pressure from their constituents about the price increase which has led some to publicly criticize the company. Senators Charles Grassley and Richard Blumenthal, of Iowa and Connecticut respectively, are among those who have reached out to the company by writing letters expressing their grievances and demanding for an explanation of the price increase. Senator Amy Klobuchar of Minnesota had requested that the FTC launch an official investigation into Mylan and the EpiPen. Most recently, the U.S. Justice Department and Mylan have come to a $465 Million settlement for reportedly overcharging Medicaid and Medicare for the drug. Although the company admits to no wrongdoings, the case was opened because of the misclassification of the drug as generic. Some cost efficient alternatives to the EpiPen includes buys a vial of Epinephrine ( the main drug used in EpiPen, and making an at-home version of the EpiPen for about $30. All in all, this is a story that we are becoming all too familiar with. Companies are raising prices of medication by 400%, thus, taking access to the medicine away from certain populations. This situation is very similar to the increase of the drug Daraprim in 2015. The cost of the HIV drug rose from $13.50 to $750 overnight, making the drug unavailable to many people.. Going forward, one can only hope that regulatory policies can be implemented to prevent companies, like Turing and Mylan, from drastically increasing the prices of drugs for a wider margin of profit. 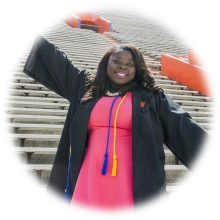 Summer Slaughter is currently a second-year Master of Public Health Candidate at the University of Florida College of Public Health and Health Professions concentrating in Social and Behavioral Sciences.